This brand new Professional Cake Lace comes pre-mixed, and pre-coloured. All you need to do is apply this to your mat, following the instructions found below or on your tub. Can be used in any lace mat. Pre-mixed lace will set firm after a period of time. 2. Spread your Sugar Lace mix onto the mat, using a Spreading knife. Work the mix in all directions to ensure there is even coverage. 3. Remove any excess with the Sugar Lace spreading knife. 4. Place into your pre-heated oven for 8-10 minutes to dry the Sugar Lace. 5. Remove from the oven and set aside for 5 minutes for the Sugar Lace to cool. 6. Check that the Sugar Lace is ready by peeling the edge of the Sugar Lace from the mat. It should release easily. If it does not, the Sugar Lace is not dry, so put it back in the oven for another two minutes, and then test that it is dry again. 7. Place the dried Sugar Lace face down onto a clean surface and using the spreading knife, release it from the mat. 8. To fix the Sugar Lace onto your cake or cupcakes, paint a small amount of edible glue onto the back of the Sugar Lace and press it gently onto the cake. Alternatively, if you are not ready to use the Sugar Lace, wrap it in greaseproof paper until you are ready to use it. 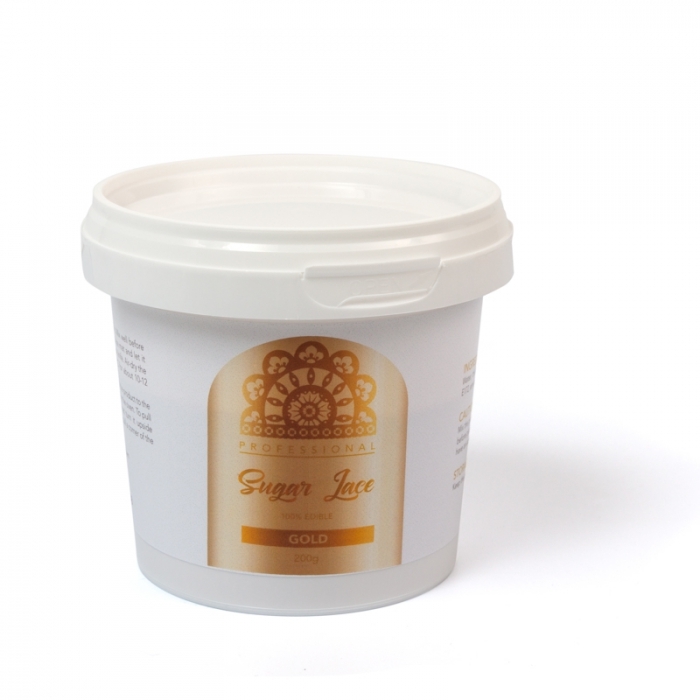 We recommend storing the finished Sugar Lace in some grease-proof paper, wrapped closely. Then wrap that in foil, and store away from strong lights and odours.